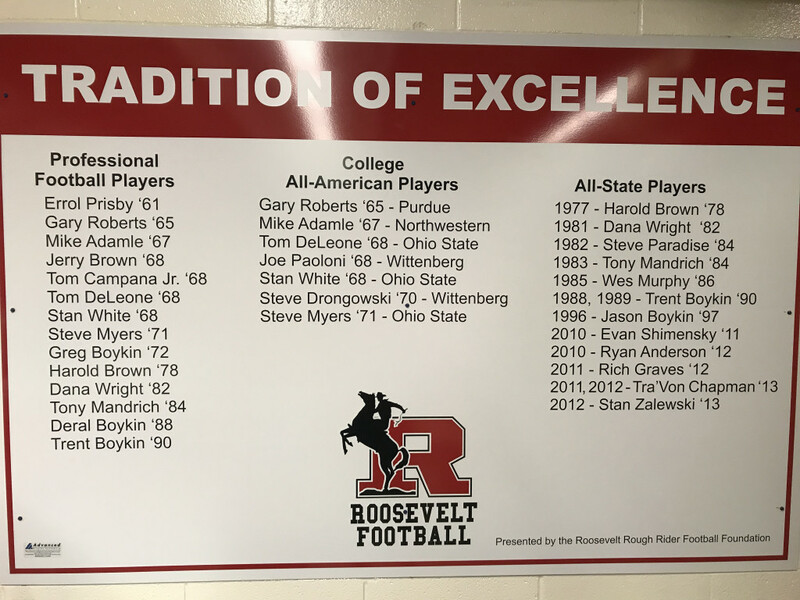 Thanks to the Rough Rider Football Foundation and our friends at Advanced Display for updating and improving our locker room. 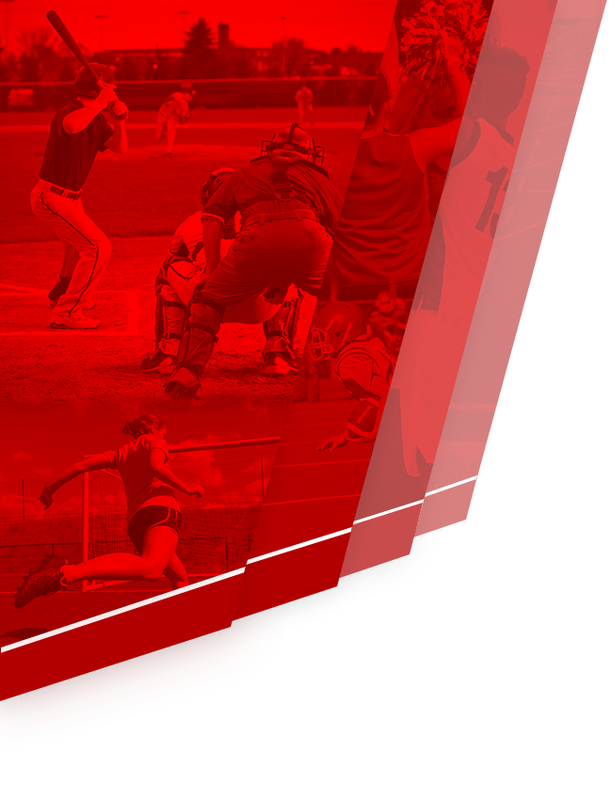 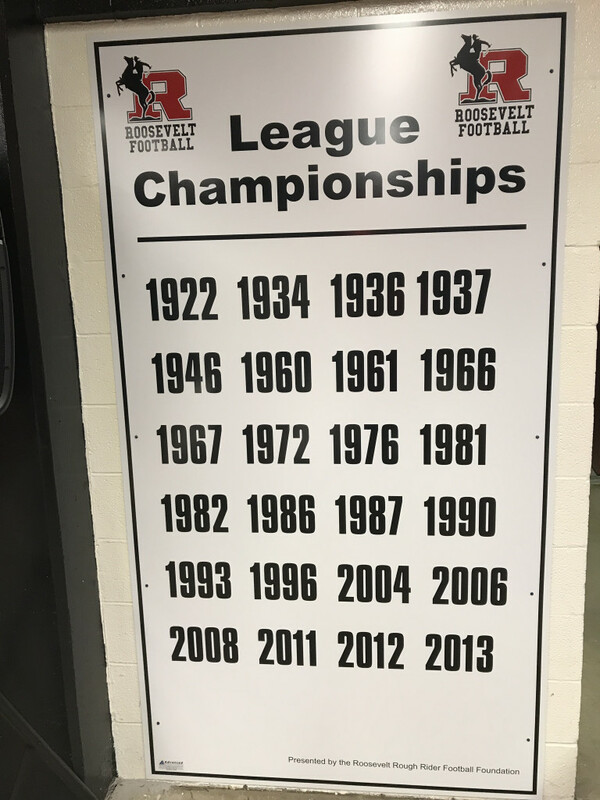 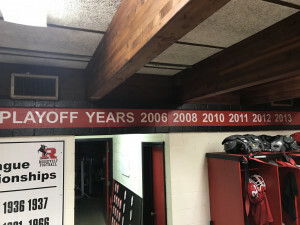 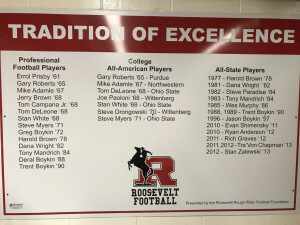 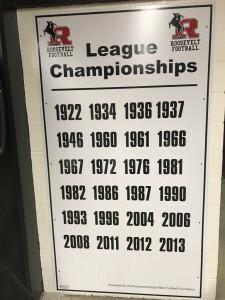 See the attached photos of all of the 24 League Championships won since 1922, the 6 State Playoff Appearances, and the list of our RHS graduates who have earned All-State honors, collegiate All-American honors, and made it to professional football. 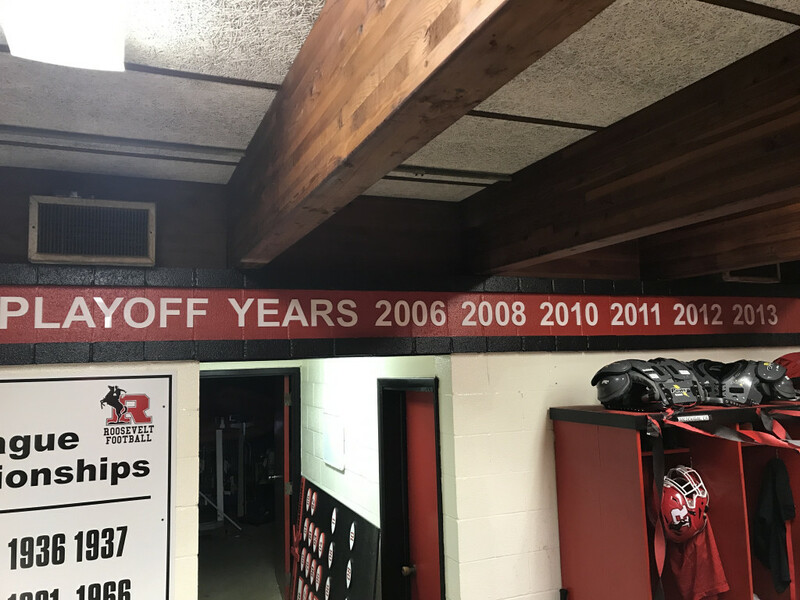 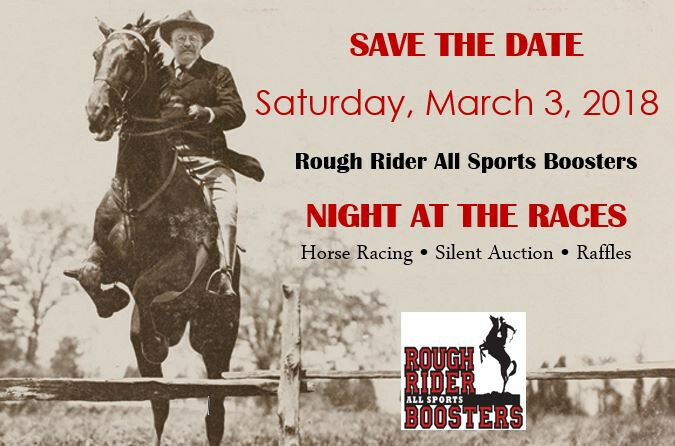 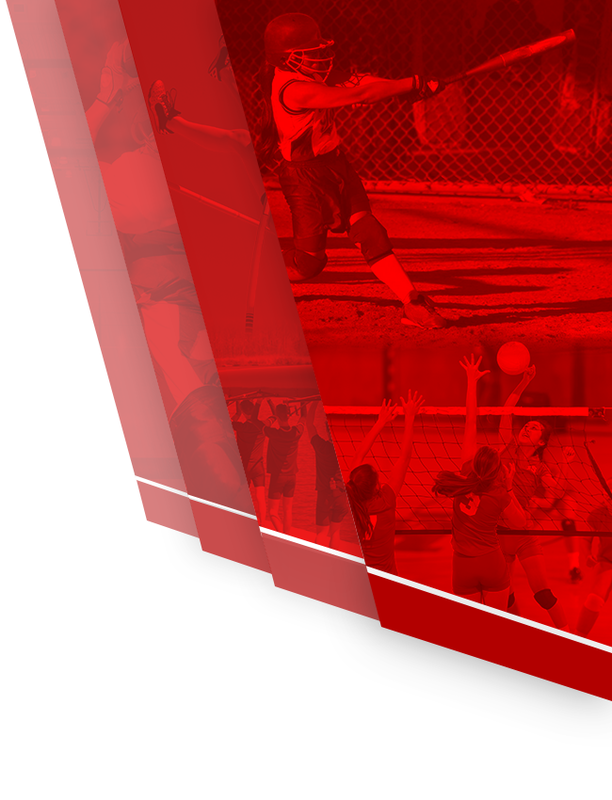 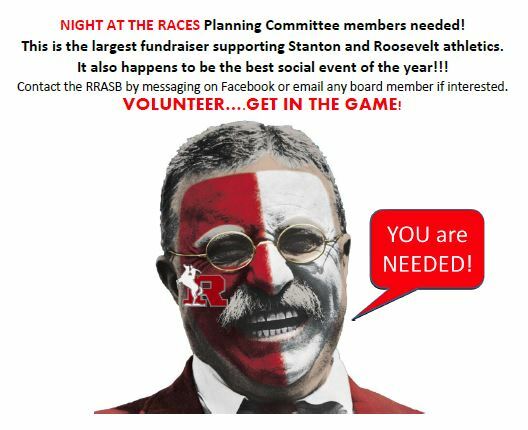 Alumni – please stop in and see our updates!